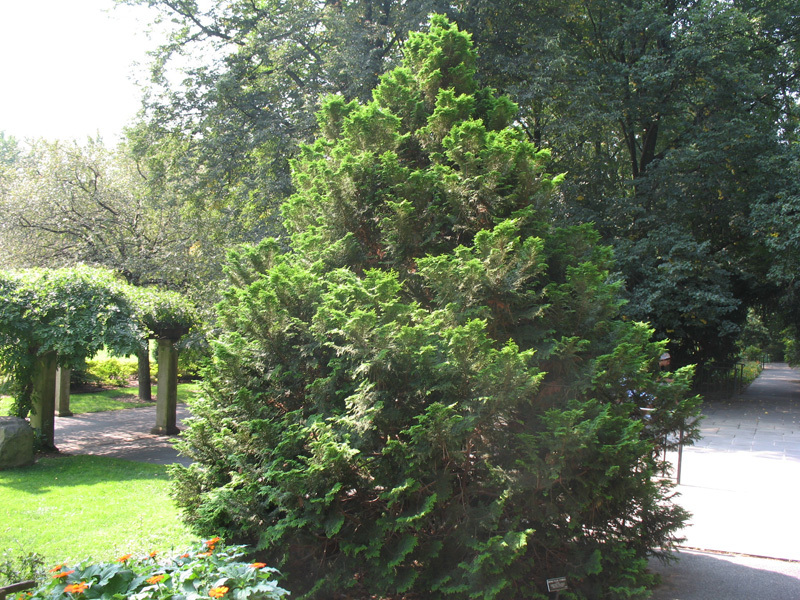 Comments: The most commonly grown form of Hinoki false cypress grown with slender pyramidal habit and whorled, flattened sprays of dark green foliage. The scale-like leaves have conspicuous white lines on their undersides. Unless the planting site is ideal, it prefers some shade.